All Interested Candidates can download the application form via ICDS Vellore official website. Last Date, official message, application form is given bellow. ICDS latest opening, vacancies and interview dates are regularly updated on www.freshers-job.com.Integrated Child Development Services (ICDS) is an Indian government welfare programme which provides food, preschool education, and primary healthcare to children under 6 years of age and their mothers.All Interested Candidates from 2017,2016,2015 Batch who have completed 10th Examination from any recognized Institute are Eligible this Recruitment 2017-2018. Only Eligible and Interested aspirants can follow bellow bellow ICDS Vellore Recruitment 2017 details. 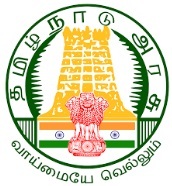 As per the ICDS Vellore recruitment notification 2017-18, candidates should have minimum education qualification of 10th Pass equivalent from a recognized Institute are Eligible to apply ICDS Chennai Recruitment 2017. Candidate should complete his / her 10th Pass in relevant subjects from a recognized University / Institute. Read carefully Official notification before applying for the posts.